A visionary outlook and an intuitive business sense have helped Cam Richardson grow ITC Systems from a small but respected company in the late 1980s to the internationally vigorous organization it is today. Cam has always felt that success stems from ensuring that the best technology available is supported by strong business relationships and he has used this concept to guide ITC Systems through decades of growth. Cam’s knowledge of all aspects of card-related transactions – from design and manufacturing to installation and service — is encyclopedic. As a result, he is respected around the world for his cutting edge expertise. To make that work especially well for clients, his company hires only people who meet exacting standards of industry knowledge and it keeps on staff only those who display a sterling integrity of character. While strategic issues and global management occupy most of his time, Cam keeps a steady eye on how business is handled throughout the company. His mission is to ensure that ITC Systems provides superlative products and services, and he pursues that goal with focus and determination. With more than 15 years of progressive leadership experience at small businesses and large corporations, Chris brings to ITC Systems a strong expertise in the areas of change management, lean manufacturing, six sigma, and business process improvement. Prior to joining ITC Systems, he was Director at BlackBerry where he held roles on the operations, sales, and finance teams. Before Blackberry, Chris worked at Celestica, a world leader in the delivery of innovative electronics manufacturing services (EMS). 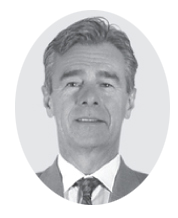 At Celestica, Chris held progressively senior leadership positions in engineering, manufacturing, supply chain management, and operations both in Canada and Mexico. His role at ITC Systems will be to ensure increasingly effective implementation of the company’s strategic plans in the areas of sales, operations and administration. 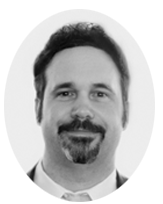 Chris holds a bachelor’s degree in Mechanical Engineering and an MBA from Queen’s University. 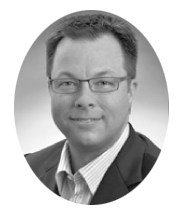 He is also a member of the Professional Engineers Ontario (PEO). 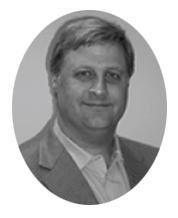 Dan is responsible for business development opportunities of ITC Systems. He brings over 18 years of sales and engineering experience in education, government, library and corporate markets to ITC Systems. 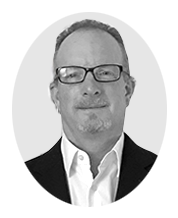 As a long time member in the card industry, Dan has experience in a variety of technologies including magnetic, smart and contactless technologies. Dan is an active participant in the engineering group positioning ITC Systems to meet the needs of its growing community of customers. 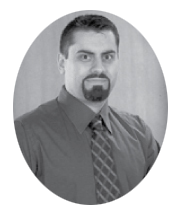 Dan holds a Bachelor of Technology Degree in Electrical Engineering from Ryerson University . Rob Cacciottolo resides in Toronto and is the Vice President of Operations. 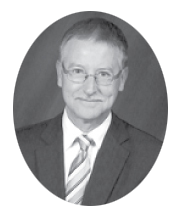 He began his career with ITC Systems in the production department as an assembler. After a year in production, he moved on to the technical support department which saw him doing repairs both at the bench and on the customer sites as well as performing installations and trainings. In 2004, Rob took an interest in the sales side of ITC Systems and began as the account representative for Missouri and Southern Illinois. After managing the St. Louis operations for a while he quickly moved on to be the Director of Sales for Western Canada in 2005. After serving in a management role in another company for a couple of years, Rob returned back to ITC Systems and Director of Sales North East USA and now as VP Operations. Rob holds a diploma for Electronic Engineering from Centennial College. Rob integrates his technical and sales experience into the operations side of the business to enhance customer satisfaction along all sectors. Mark Visentin’s inspired understanding of the intricacies of software development and implementation have earned him status as an invaluable member of the ITC Systems team since he joined the company in 1999. Starting out as a Software Support Specialist, Mark has consistently proven to be an adept, creative and effective problem solver, and his responsibilities have grown apace. Today, Mark works closely with the ITC Systems sales team to recommend and validate solutions for customers that conform to, and often exceed, best practices standards. He also works closely with the ITC Systems Sales Team, Engineering Department and Support and Service team to ensure that implementations unroll smoothly. The goal is always to ensure that the end results are a perfect match for client expectations. Every project ITC Systems undertakes has unique characteristics and Mark has developed a reputation for his ability to develop sophisticated, yet straightforward solutions to customer problems and challenges. And, while he has a high-level understanding of how to serve the ITC Systems clientele, he prizes the contributions customers make to the ITC Systems approach to solutions engineering through the company’s Customer Advisory Group. Mark has a Diploma in Information Systems Technology from George Brown College, a highly respected Toronto school for technology studies. Darrin Demosani brings a wealth of industry knowledge and a strong sense of team to his position as Service and Support Manager for ITC Systems. Having worked with the company since 1997, he has been a key part of its evolution as an exceptional global supplier of integrated transaction control systems. The core of Darrin’s work involves managing the company’s Software and Hardware Support departments. While this involves a lot of technical details, Darrin’s priority lies in ensuring ITC Systems customers are treated with the respect and the attention they deserve. He oversees the provision of customer care services at all phases of a customer’s relationship with the company — from their experience with on-site personnel to their encounters with tech support staff. Darrin has been commended often for his ability to focus on the details that make a difference to the customer experience while never losing sight of the ITC Systems vision of how customers should be treated. This vision is codified in the ITC Systems Standards and Best Practices guidelines that all employees are expected to follow. Darrin has a Diploma in Electronics Engineering Technology from Humber College, a highly respected school for polytechnic education located in Toronto, Canada. Aside from his duties as Service and Support Manager, Darrin is also in charge of implementations and implementation scheduling. Maria Cuevas supplies the ITC Systems team with the comprehensive administrative support that ensures customer interests always come first. With an extensive range of outstanding skills in place, she has been an important part of the company’s trajectory to success for more than 10 years. Maria’s priority is to ensure that her team looks after the details that result in a positive customer experience with ITC Systems at every point of contact, from the answering of their telephone inquiries to the shipping of their orders. Maria herself coordinates all office operations, assists with human resources projects, administers the Enterprise Resource System (SAP), develops and updates all administrative procedures and provides administrative support and assistance to the company’s senior executives. Her staff provides clerical and administrative support to all departments as required. Maria is committed to ensuring all areas that her department touches are infused with the same sense of warm professionalism that has helped distinguish ITC Systems from many other businesses today. She is completely focused on customer satisfaction. Eduardo Ormeno brings an outstanding set of organizational skills together with a knack for financial management to his work as ITC Systems’ Materials Manager. His efforts drive directly to the maintenance of the high standards of client satisfaction for which the company is known. Eduardo’s job requires him to ensure that raw materials, supplies, equipment and tools are available when and as necessary to meet customer demand for ITC Systems products. His department ensures materials are available to the Production Department so they can complete orders on time, and his staff provides critical information to the sales team so they can develop accurate quotes for new projects as they arise. The Materials Department is also responsible for ensuring staff in the Service and Engineering Department get the information, tools and materials they need to carry out repairs, projects and service calls. Eduardo puts a lot of effort into managing relationships with ITC Systems suppliers so information can flow smoothly and efficiently for the benefit of customers. 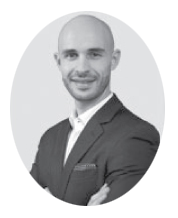 He has studied Industrial Engineering and Business Administration and, having worked in almost all departments since joining the company a decade ago, he has a superb grasp of how to ensure projects are completed on time and with a definitive degree of excellence. 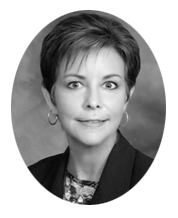 Dolores Visintainer is the Accounting Manager for ITC Systems. 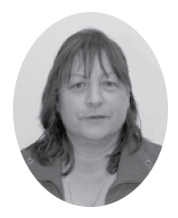 Dolores is a 4th Level CGA, and brings 20 plus years accounting experience to ITC Systems. Dolores joined ITC Systems in September 2008, as the US division’s general accountant and at a time when ITC Systems was implementing new accounting software. During this time she assisted in the transition and provided input to ensure all accounting procedures conform to Generally Accepted Accounting Procedures (GAAP). Over the next four years Dolores thrived to build authentic relationships with coworkers and to create an efficient and more productive team. She currently oversees the Accounts Receivable and U.S. division’s accounting. The accounting team provides support to all departmental levels to guide and identify business process improvements as it pertains to accounting functions. As well, the department is responsible for the compilation of detail reporting to upper management for use in cash management, forecasting and budgeting purposes. The accounting department prides itself and is committed to drive compliance, continued improvements and to meet the company’s goals with the highest of standards and integrity. Dave resides in Toronto and manages Canada and Michigan. He joined the ITC Systems team in 1995 and has over 12 years of experience in Campus card systems, software, and systems integration. During his tenure, Dave has held many senior sales roles within the organization, enabling him to develop a detailed knowledge of ITC Systems’ North American marketplace. Prior to joining ITC Systems, Dave held a Senior Marketing position with a major multinational packaged goods manufacturer. He holds a B.A. in Business Administration from Ryerson Polytechnic University. Brenda started with ITC Systems in December 2014 as part of the acquisition of GoPrint Systems, Inc. and manages the Western USA for ITC and all of the USA for GoPrint. 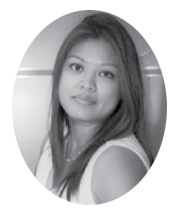 Brenda has worked in the Print Management industry since starting with GoPrint in 2005. In addition to sales during her ten years with GoPrint, she managed the trade shows, marketing and helped with the website. She brings to ITC a wide knowledge base of payment systems, print management software, support and personalized service, especially in higher education and library markets. Brenda has a Bachelor of Arts in Broadcast Journalism from Arizona State University. Sharon Rippe is a business development and sales professional with a diverse background rooted in sales, marketing and management. With a penchant for building relationships and over 15 years serving the college and university markets, Sharon has a deep understanding of the customers we serve. 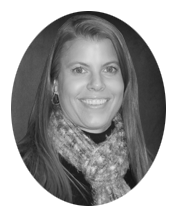 Sharon joined ITC Systems in October 2015 as the Director of Sales for the central region of the United States. Orion De Souza joined ITC Systems in 2006. In his 11 years with ITC Systems, he has held positions in multiple departments including Production, Hardware Support and Software Support. Orion knows how to deliver an excellent customer experience for both our new and existing customer base and has earned the respect of his peers. Orion believes leading his team by coaching and mentoring promotes a positive environment in the workplace. 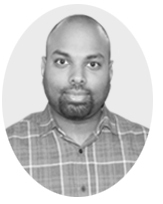 Orion has a Diploma in Electronics Engineering Technology from Centennial College and a Network Specialist Certificate from George Brown College and is a Project Management Professional with a PMP Designation. Norito joined the ITC Systems team as a co-op student in the Service Department in 2006 and quickly became a full-time Service Technician shortly thereafter. After a few years, Norito joined the Validation Department as a Validation Technician focused on hardware testing. Ready to challenge himself yet again, Norito transferred into a new position as a Software Support Technician. It was in this role, he became a true expert on the ITC Systems’ customer experience. 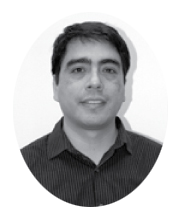 After gaining valuable knowledge of both ITC Systems hardware and software products, Norito became a Systems Validation Specialist working with all of our solutions. 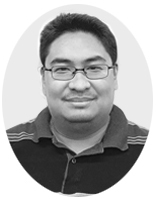 Most recently, Norito was promoted to Validation and Technical Manager, where he manages all aspects of the validation process. Norito is committed to delivering high quality products that exceed customer expectations. Norito has a diploma in Electronics Engineering Technology from Centennial College and a Networking Specialist Certificate from George Brown College. With 18 years of library and higher education sales experience in the southeast, Chris brings a wealth of experience to ITC Systems. Chris posses a strong dedication to providing the customer with the right solution tailored to their specific needs. Chris’s background in RFID, self-checkout and library Automated lending systems compliments ITC Systems’ solution based product offerings in the library and higher education marketplace.